Makhdum Ali Mahimi‎ (رحمتہ اللہ علیہ) was born on 10th Muharram 776 Hijri, (1372 A.D.) in Mahim, which was then part of Thane, into the Nawait family, so called because they were newcomers who had landed in Mahim as early as 9thcentury. Their actual Surname was Paro. They were people of Arab origin, who left their home land to journey to Baghdad and Basra before they came to settle along the west coast of India. He traces his origins to the descendants of Hazrat Ja’far Tayyar (Radi Allah Anhu) Bin Hazrat Abi Talib (Radi Allah Anhu). His Father Maulana Shaikh Ahmad‎ (رحمتہ اللہ علیہ), a learned and saintly man, was a well to do merchant who belonged to the Paro or Prave family, while his mother Fatima bint Nakhuda Husain‎ (رحمتہ اللہ علیہ), a pious and devout lady came from the wealthy Ankolio family. His father’s auspicious mausoleum is situated in Amman (the capital of Jordan) in the city of Moutha, situated at the distance of 112 kms from Amman. Even before attaining the age of 9 years, under the training of his father, Maulana Shaikh Ahmed Bin Ali‎ (رحمتہ اللہ علیہ), Hazrat Makhdum Ali Fakih Mahimi‎ (رحمتہ اللہ علیہ) acquired full fledged knowledge of recitation of the Qura’n with correct phonetics, theology, logic, philosophy, hadith and all other extra-religious fields of knowledge and traditionally reported sciences etc. His father died when he was nine years old, after which he grew up under his mother guidance whom he greatly revered. The incident when he stood by his mother’s side for the whole night with a glass of water in is hand, because she asked for it and fell asleep before he could get it, is ample proof of his love and affection for his mother. He did not wake his mother up out of respect and love for her and when she realized his obedience and respect, she prayed to Allah to bestow his choicest blessings on him. Sources indicate that after his father’s death, he acquired knowledge from Khawaja Khidr (R.A.), whom he met in secret on mahim seashore every morning. (Khawaja Khidr – is regarded as patron saints of travelers and mysterious figure connected with initiation and the highest sources of mystical inspiration). Though there is no confirmed proof of the same. Makhdoom ali mahimi‎ (رحمتہ اللہ علیہ) belonged to a group of Sufis named Uwaysi – those who have not received a formal initiation by a living master and are not affiliated to any known order like the Chishti or Suhrawardi in India. 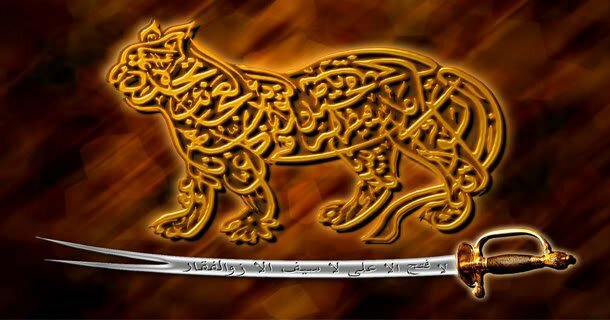 Makhdoom Ali Mahimi‎ (رحمتہ اللہ علیہ) is credited with more than one personal name, among them are Ali, Aluaddin and Abul Hasan. He is also known as Ali Paro and to later followers as Makhdum Ali Mahimi‎ (رحمتہ اللہ علیہ). He also holds appellations that highlight his achievements. He is called Qutb-e – Kokan (Kokan’s Pole Star) in recognition of the 19 critically acclaimed books written by him and for his spiritual eminence and large following along the kokan coast. Mahimi was the first Indian scholar to write an exegesis on the Qur’an, which gained critical acclaim from numerous Islamic scholars including Shah Waliullah‎ (رحمتہ اللہ علیہ). He is also referred to as Faqih Ali Mahimi‎ for is knowledge of jurisprudence. In fact, Sultan Ahmad Shah of Gujarat appointed him as Qadi for the Muslims of the then, thane district, for both civil and criminal cases and also gave his sister in marriage to him. 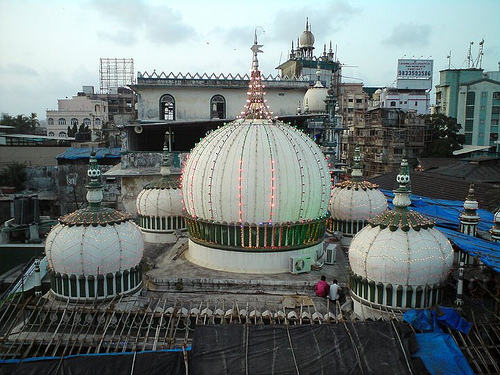 He died where he had lived, in mahim, on 8th Jamadi-al-Awwal and was buried in the nearby graveyard. His mother, who died forty days later, lies next to him. His biographies in Persian and recently in Urdu, state that Makhdum Ali Mahimi‎ (رحمتہ اللہ علیہ)was well versed in the traditional Islamic sciences, including theology, jurisprudence, philosophy, and mysticism. He was one of the first Islamic scholars in India to have written a commentary in Arabic on the Quran, as well as expounding Shaikh ul –Akbar; Ibn-e-Arabi’s doctrine of Wahdat al-wujud, or unity of being. There is little biographical information on his daily conduct but he is known to have observed the obligatory namaz as well as occupying himself with additional prayers, dhikr and contemplation of the Divine. Among his followers, the only known name is that of his principle disciple, Shaikh Muhammad Syed Kokani‎ (رحمتہ اللہ علیہ). Makhdum Ali Mahimi‎ (رحمتہ اللہ علیہ) has left a legacy of religious and literary works. The most distinguished amongst these is his pioneering commentary on the Quran al-tafsir ar-rahmani. Written in a simple style, it comprehensively examines the subtle links between the different chapters in the Quran and their verses. He discusses the Quran’s mystical and non-mystical aspects and the relationship between them. Uniquely, he explains how the bismillah at the head of each chapter has been named with reference to its contents and why each chapter bears a particular title. Handwritten copies of this work are known to exist but printed copies are difficult to obtain. His numerous treatises elucidating classical manuals and doctrines treatises were read and commented upon by Sufis and scholars like Shah Wajihuddin Alawi‎ (رحمتہ اللہ علیہ), Ghulam Ali Azad Bilgrami‎ (رحمتہ اللہ علیہ), and Shah Waliuallah‎ (رحمتہ اللہ علیہ) in India during later times. 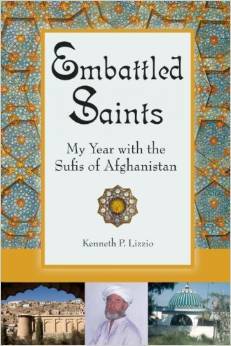 They elaborate on the interpretation of the shariat and the Hadith (traditions) in the light of reason. With remarkable ease he quotes from famous Sufis and philosophers like Razi, Suhrawardi, Qushayri, Sullami, Makki, and Kalabadhi whilst discussing the doctrines of tawhid and predestination. Not many scholars are aware of all his writings and there is need to publish and study them. Copies of his works are dispersed across libraries in Mumbai, Bankipur , Berlin and London . At one point, the Mahim Dargah itself was famous for its collection of books and manuscripts, but ravaged by time, vandalized, and neglected, the library no longer exists. The Dargah, which dates back to 1674, is known for students to pray for success in their exams and police for success in a particular case. For the last thirty years, the annual urs has been observed over a period of ten days between December 13 and 22, and today is attended by nearly three lakhs visitors, most of them from Mumbai. An entry in the Bombay City and Island Gazetteer of 1910 shows how special arrangements were made for the urs. It mentions how this was a socio-cultural event to which Bombay residents came to make vows as well as to enjoy the amusements. They partook in the fair on the causeway where “toys of European make, local metalware, sweetmeats and food” are sold. Apart from the sandal processions, they watched devotees perform with swords and fly kites. In an earlier publication, Towns and Islands of Bombay, a government order of 1694 quoted to give permission to “Moormen (Nawaits) to worship at the tomb at Mahim as customary”. As important event in the annual life of the Dargah is the display of a highly treasured Quran – its ink and paper are in prime condition – believed to have been copied by Makhdum Sahib‎ (رحمتہ اللہ علیہ) himself. (However some scholars are of the firm opinion that is was made later, in 1564 by Maulana al-Mukri‎ (رحمتہ اللہ علیہ).) The Quran is displayed just once a year, on the eve of Laylat al-Qadr, the night of Power when the Quran was revealed. This event is observed on the eve on 29th of Ramadan. The scholar-saint of Mahim is remembered for many reasons. Many remember him for the very human qualities he possessed – his love for and obedience to his mother, his humility, his self-control, and his generous nature that made guests welcome – that are mentioned in biographies like Damir al-Insan.